Øverst venstre: Religion Longline Faux Fur Coat In Shaggy Longhair 1,382.95/ 968.07 DKK. ASOS Pea Coat With Tab Detail 531.91 / 265.95 DKK. Lovers + Drifters Short Shaggy Fur Colour Block Jacket 1,170.19/ 702.11 DKK. New Look Faux Mongolian Gilet 425.42 / 148.93 DKK. 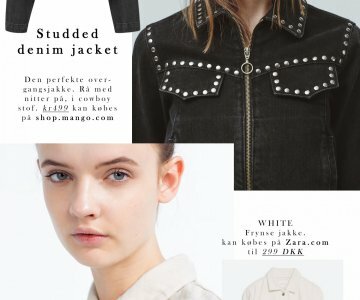 Nederst venstre: Free People Cord Faux Sherling Jacket RRP 1,787.20 / 1,170.19 DKK. ASOS Bomber Jacket with Quilt Detail and Borg Collar 797.86 / 478.71 DKK. Lovers + Drifters Shaggy Fur Jacket 1,223.38 / 734.03 DKK.